Rev. 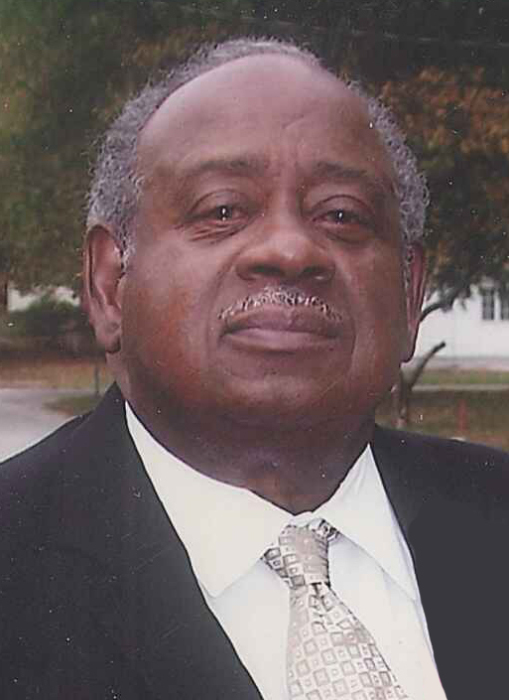 William Whitman, Sr., 79, of Centralia, IL passed away at St. Mary’s Hospital in Centralia, on Tuesday, March 19, 2019. William Whitman, Sr. was born in Louisville, KY to Irene Carpenter and Holton Whitman on April 29, 1939. Following his secondary education at Central High School in Louisville, Whitman proudly served his country, enlisting in the United States Marine Corps on June 5, 1956. After completing basic training in North Carolina, Whitman’s military service included deployment aboard the U.S.S. Lake Champlain Aircraft Carrier, tours of duty in Europe and Asia—sustaining non-life-threatening injuries in Laos—as well as deployment to Kaneohe Bay Marine Corps Base, in Hawaii. He was honorably discharged from military service on May 24, 1960. Following military service, Whitman worked as a professional printer at Fawcett-Haynes Printing in Louisville and later relocated to Southern Illinois and Salem Gravure, when the company was acquired by World Color Press, Inc. Whitman continued his more than 30-year career with the company until his retirement in 2004. Baptized in Christian faith as a child at West Chestnut Street Baptist Church in Louisville, Whitman was called into the Gospel Ministry in 1991. Joining Second Baptist Church in Carlyle, IL, where he was ordained and served as deacon, under the leadership of pastor Jerome C. Chambers, in 1992. Whitman was called into the Gospel Ministry and was licensed to preach the Gospel in 1994 and received his Certificate of Ordination in 1996. Whitman served as assistant pastor, and later as pastor of Second Baptist Church for more than 15 years. Whitman received his Bachelor of Ministry Degree in Christian Behavior, through the Behavioral Excellence Search Training program with Anchor Theological Seminary, in 1995, under the teaching and study of Dr. E. Stanley Howlett. According to news media reports, Whitman was the first black minister known to be ordained in the City of Carlyle. At the time of his ordination, Second Baptist Church in Carlyle had been serving the community for more than 126 years. Throughout is life Whitman was active in community service, volunteerism, and social causes benefitting the underserved and under-represented, receiving awards and recognition from the National Society of the Daughters of the American Revolution, the State of Illinois, Oklahoma State University, Second Baptist Church, and many other public and private organizations. Whitman’s selfless deeds and countless acts of kindness, volunteerism, and service to others extended to family, friends, neighbors, strangers, and virtually anyone in need. Rev. Whitman is survived by his wife Clara M. Whitman of 58 years, also of Centralia, William Whitman, Jr. and Theresa Whitman of Champaign, IL; siblings: Doris Walter of Cleveland, Joyce Cook of Louisville, Faith Whitman of Baltimore, Benita Whitman of High Point, NC, Hope Whitman-Godish of Baltimore; grandchildren: Alisa (Whitman) and LeBoin Fears of Champaign, IL, Brandon Whitman of Centralia, Calvin Whitman of Chicago; great grandchildren: Alphonso Fears, Camille Whitman, and Alayla Fears, countless extended family members, friends, neighbors, congregants, co-workers, and other loved ones. Home-going celebrations for Rev. Whitman will be held at Zieren Funeral Home in Carlyle, with visitation from 6-8 p.m., Friday, March 22 and funeral service at 1 p.m., Saturday, March 23, 2019. Internment, with full military honors, will begin at 9:30 a.m., Monday, March 25 at Jefferson Barracks National Cemetery in St. Louis, MO. Flowers, notes of condolences, and other acknowledgements for the Whitman family may be sent c/o Zieren Funeral Home, 1111 Clinton St., Carlyle, IL 62231, (618) 594-3151. In honor of Rev. Whitman’s military service, donations may be made to: Wounded Warrior Project, 7020 A.C. Skinner Parkway, Suite 100, Jacksonville, FL 32256, (877) 832-6997, www.woundedwarriorproject.org.